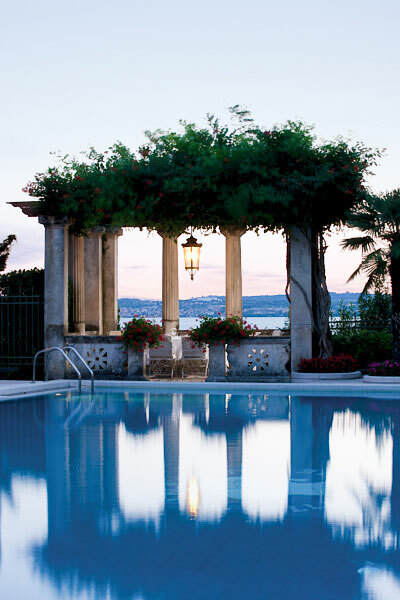 A meal at the Gardenia or a barbecue by the lake? 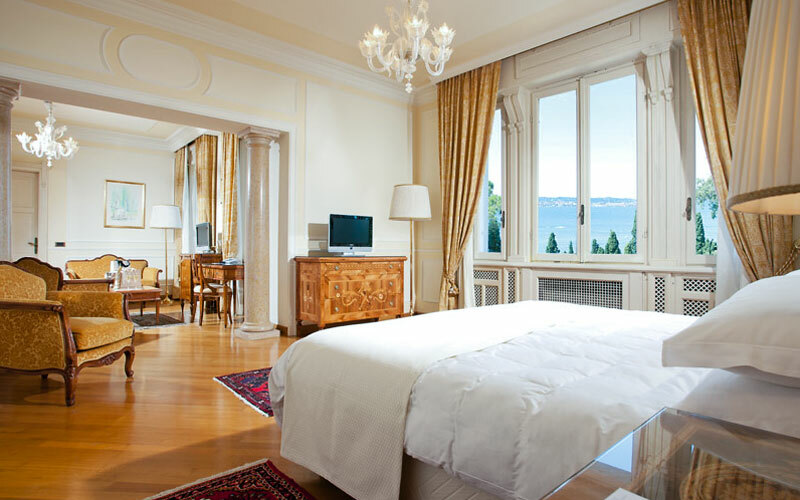 Who knows what Count Kurt Von Koseritz would have thought about his palatial residence on the shores of Lake Garda becoming one of the most luxurious hotels in Sirmione? 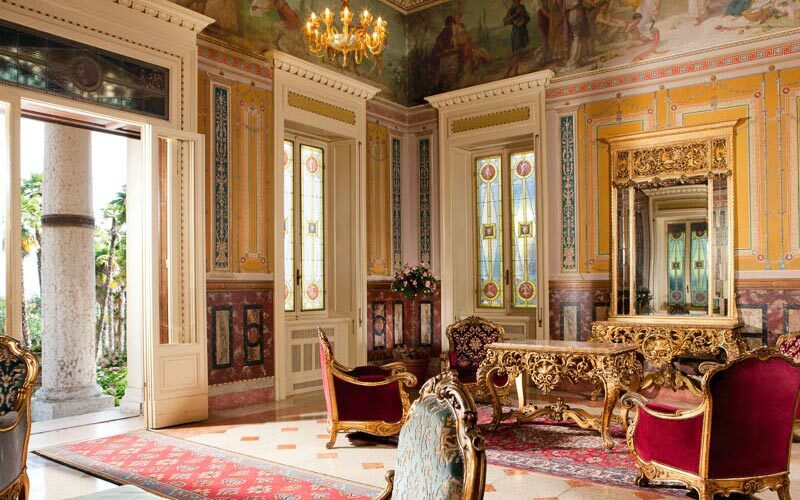 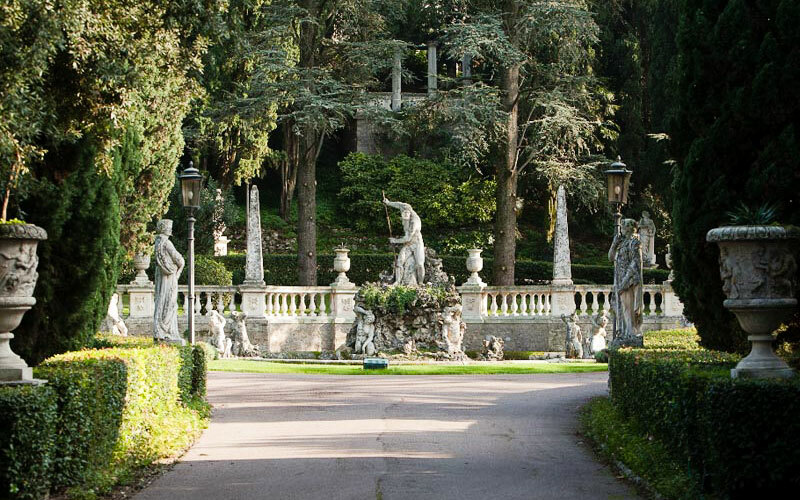 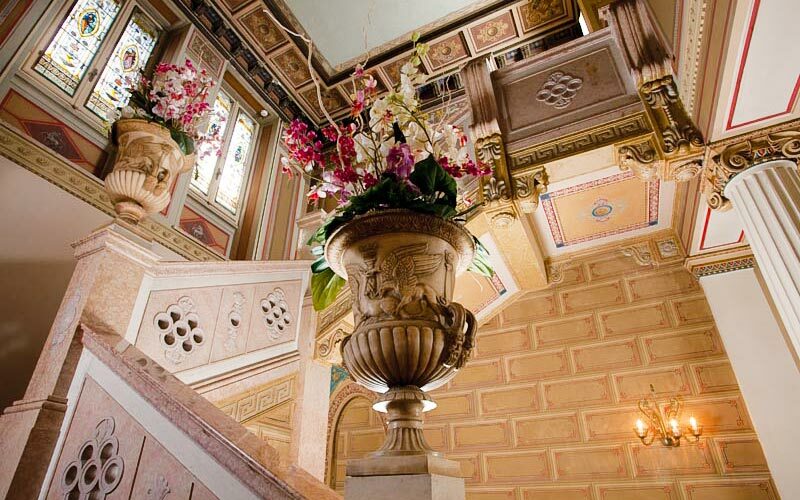 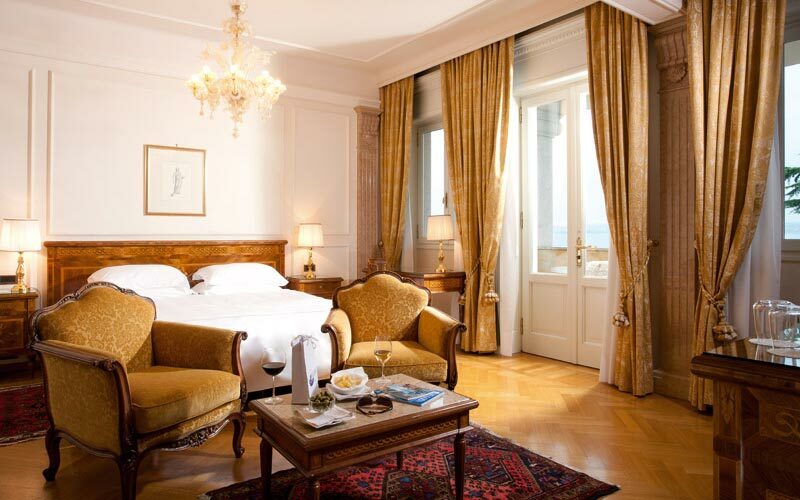 It's the unique combination of history, old world charm and the lovely lakeside location which make this magnificent villa so special and Villa Cortine Palace Hotel such a sought-after place to stay. 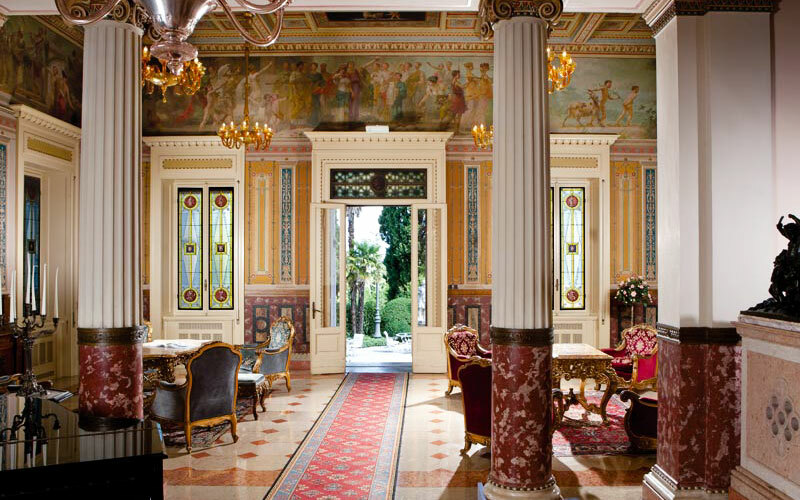 A splendid example of 19th century Neoclassical architecture, Villa Cortine Palace Hotel shares many of the features typical of the area's Palladian villas, such as the elegant portico-façade supported by massive columns, which greets guests the moment they arrive. 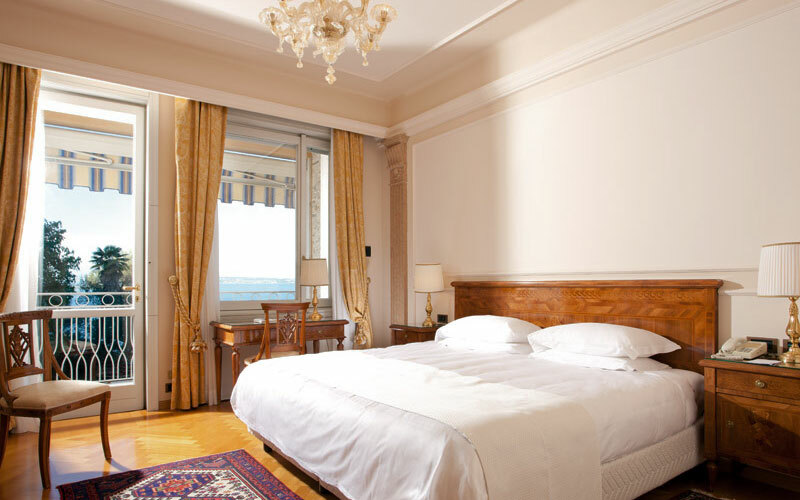 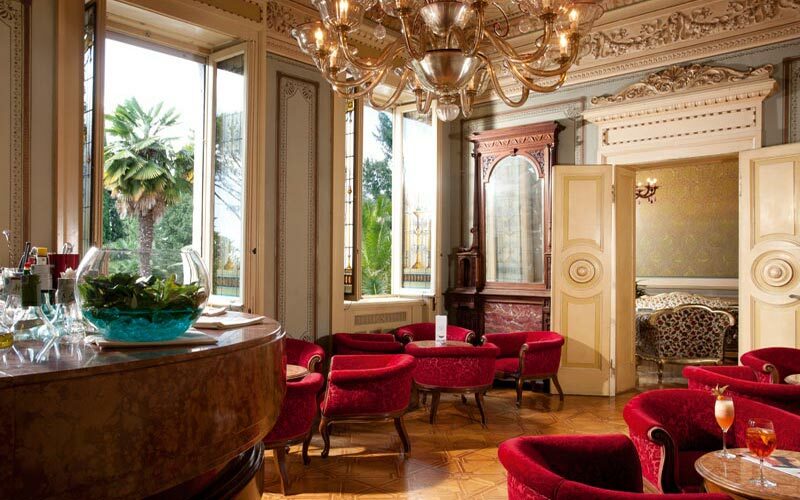 Accommodation is provided in 54 exquisitely appointed bedrooms and suites, decorated with Murano glass chandeliers, antique furniture and period artworks. 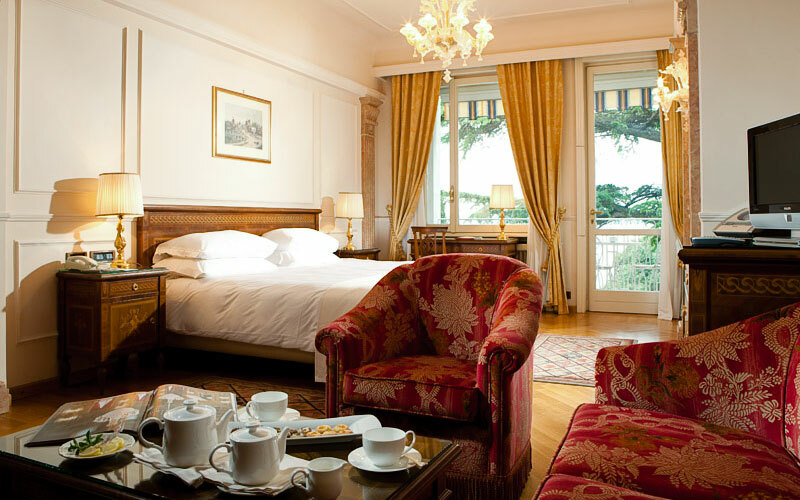 Whether you stay in a room in the main villa or in the adjacent annex, you can expect to enjoy marvelous views of the park and the lake. 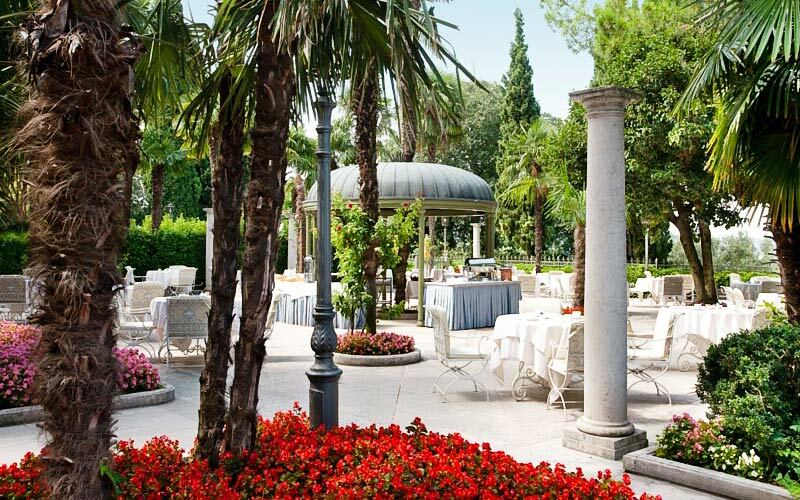 Guests eating at the hotel's elegant Le Gardenie Restaurant enjoy beautifully presented Italian cuisine, served in the intimate dining rooms or outside, on the lake view terrace. 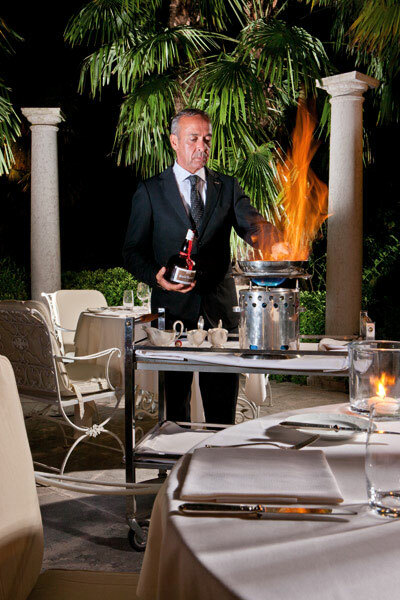 For a romantic starlit dinner you'll never forget, there's nowhere quite like Villa Cortine Palace's Terrazza Belvedere. 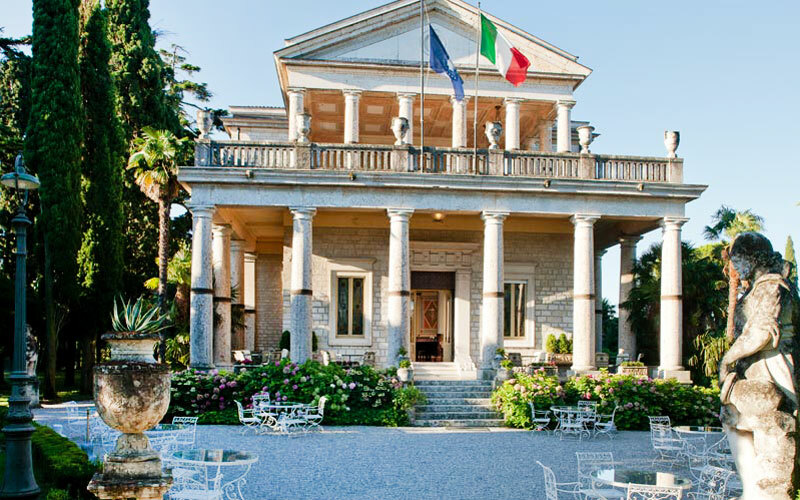 If you want to host a glamorous gala dinner overlooking Lake Garda, you couldn't find a more beautiful venue than the Salone Due Laghi: Villa Cortine's splendid banqueting hall. 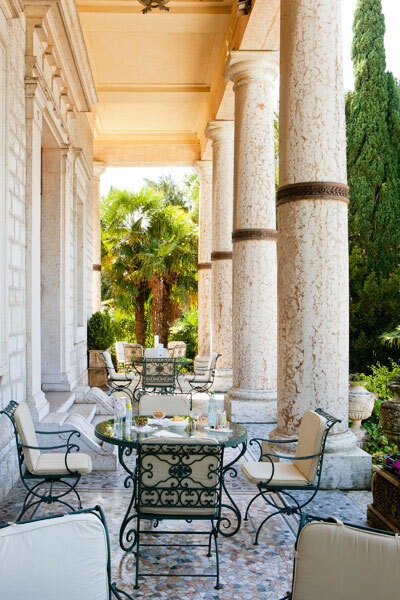 It's all too easy to relax at Villa Cortine Palace. 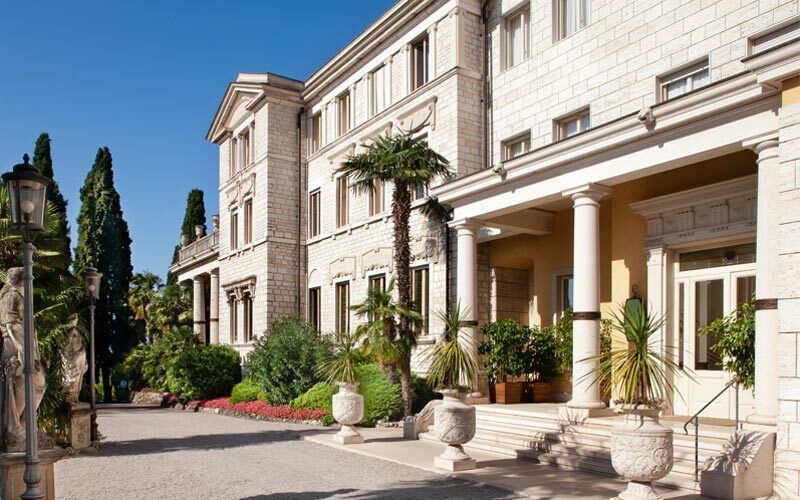 The hotel is set in five hectares of park, treating guests to a magnificent display of century old trees, Mediterranean plants and flowers, statues, fountains and panoramic terraces overlooking the water. 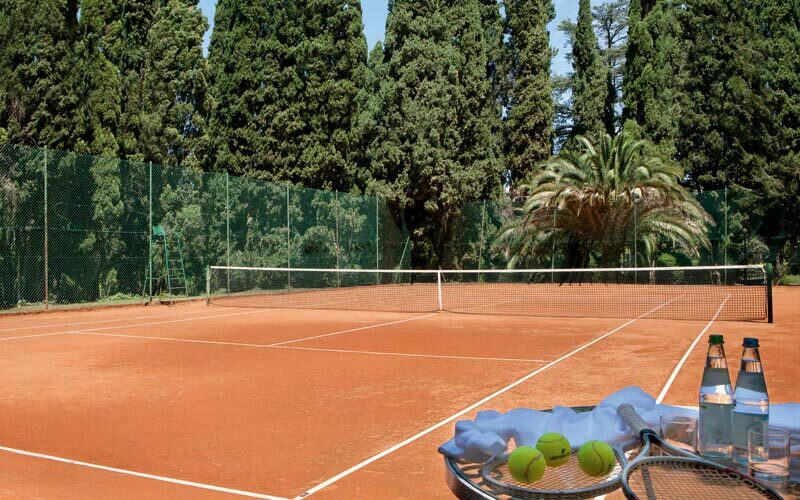 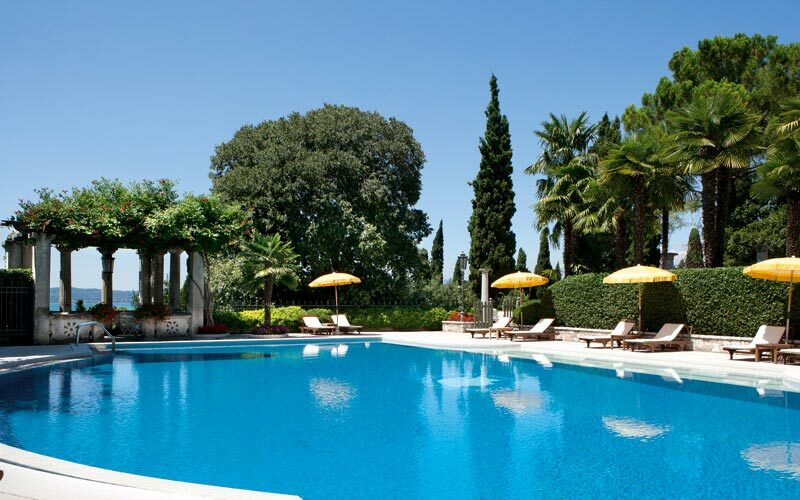 After a stroll by the lake, a run in the park, or a game of tennis, there's nothing quite like an hour or two spent lazing in the Italian sun by the pool, with a glass of the wonderful wine produced in the hills surrounding Lake Garda in hand. 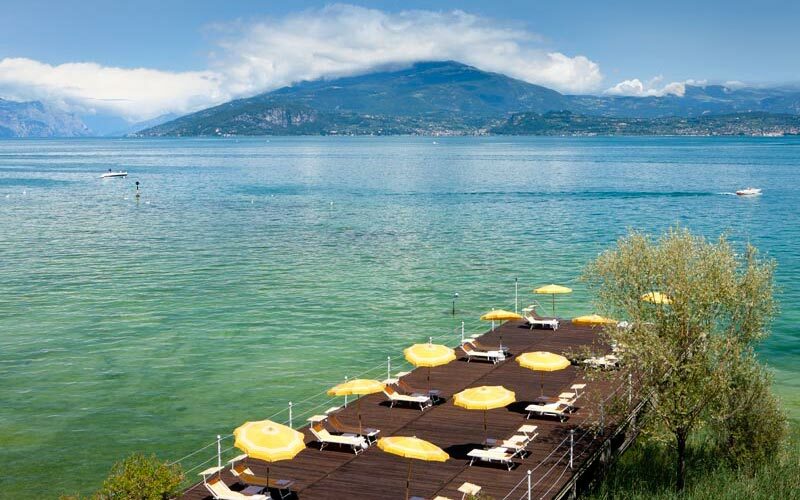 Beach club and barbecue on the lake: how to spend a forgettable day on the shores of Lake Garda! 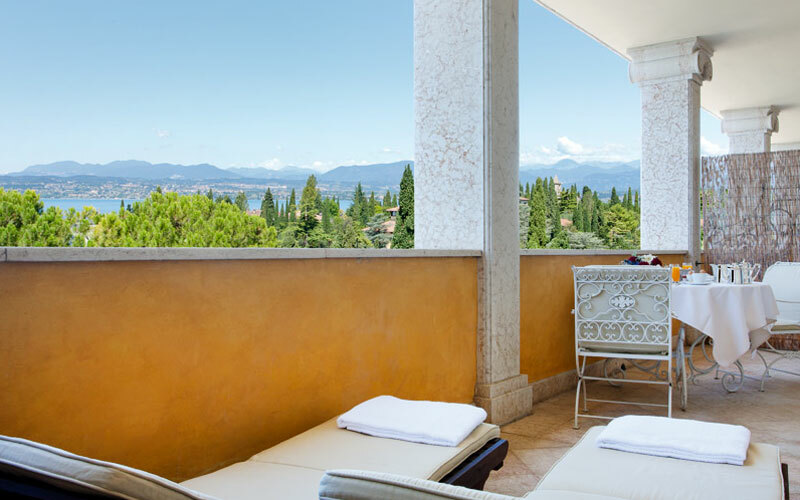 If you've always dreamed of celebrating your love on the shores of Lake Garda, Villa Cortine Palace Hotel is the perfect place to do just that! 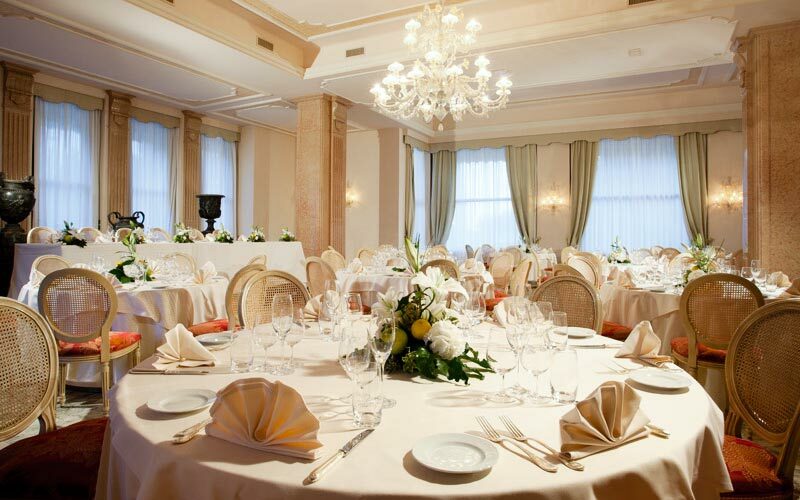 Excellent cuisine, impeccable service and a variety of wonderfully romantic in and outdoor venues will make your wedding day one both you and your guests will remember - forever. 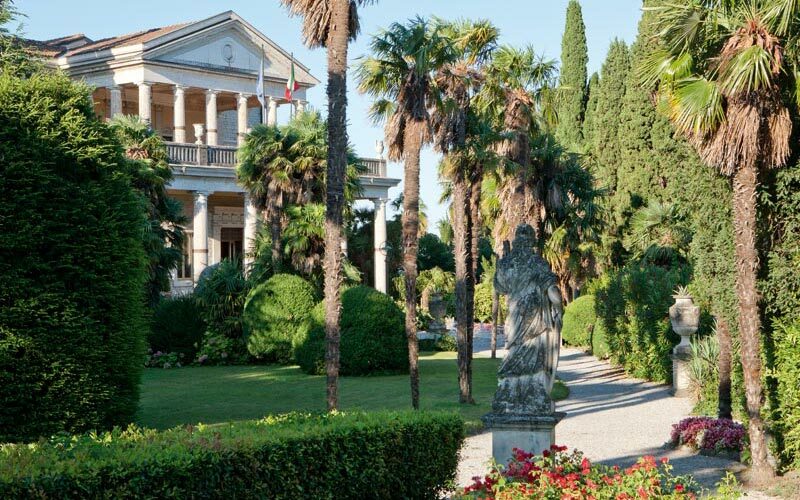 Five fabulous function halls, state-of-art technology, and the spectacular scenery of Lake Garda make Villa Cortine the ideal location in which to host high profile meetings, seminars and corporate events. 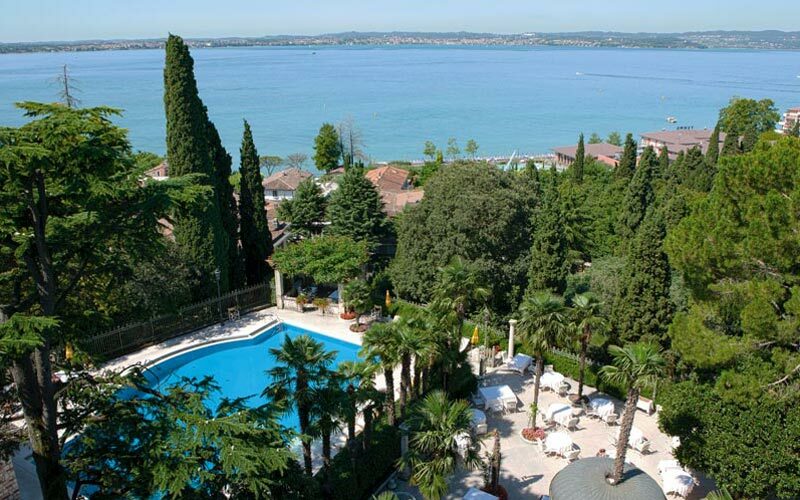 From the height of its hilltop position, just outside the historic center of Sirmione, Villa Cortine Palace Hotel enjoys magnificent views over the whole of Lake Garda. 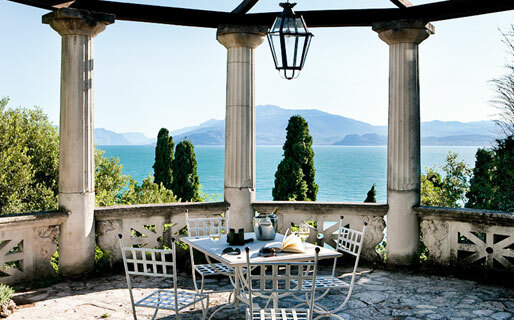 From the hotel, you can easily reach the shores of this most beautiful of Italian lakes by foot. 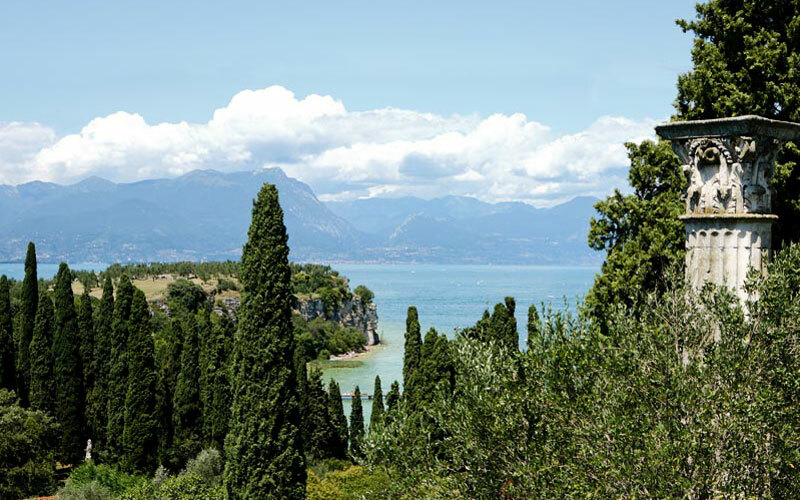 In Sirmione's harbor, you'll find any number of boats waiting to sail visitors around the lake, and to the beautiful water edge towns of Desenzano, Pescheria, Garda Salò, Gardone, Linone and Riva del Garda. 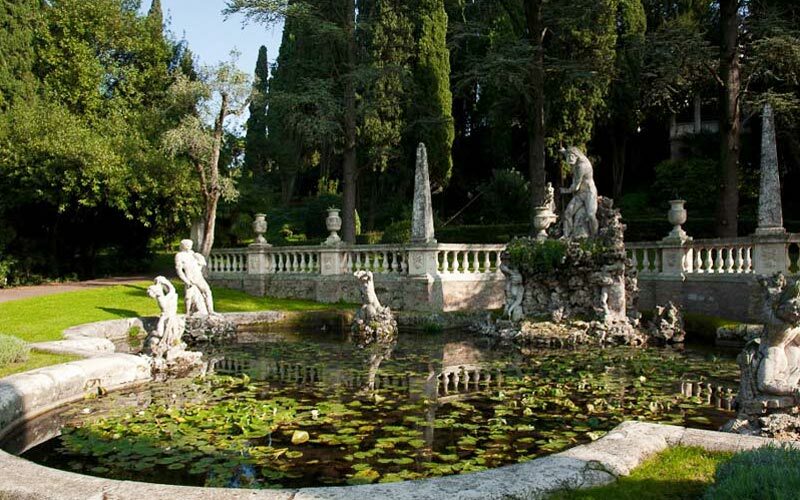 If you find yourself with a little time on your hands, fill it with an unforgettable trip to either nearby Mantua or '''Verona!